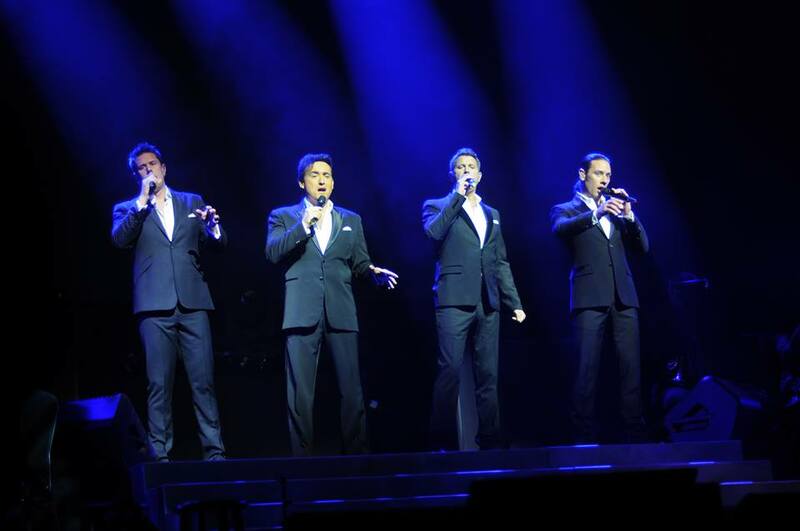 Il Divo brought their international pop/classical crossover hits to Casino Rama last night. They opened the show with a spectacular version of the theme from Titanic, “My Heart will Go On”. They also performed what they called their very best spanning their 14 years together as a band. They sang in Italian, English, Spanish and one song in French. Some of the songs performed were, “Unchained Melody”, I Can’t help Falling in Love With You”,I Will Always Love You” and they ended the show with their first number one hit “Unbreak My Heart”. They thanked the audience for making them feel like rock stars when the fans all ran up to the stage. They said that only in Canada does this happen to them. They encored with “My Way” and “Time to Say Goodbye”. Four incredible singers, from four parts of the world equals one amazing night of music!